Towards the end of March, the Equal Spaces Project and National Association of Social Housing Organizations (NASHO) teams met with the City of Cape Town Social Housing staff and new Social Housing Institutions SHIs for a two day training workshop on how to respond to a recently issued Request for Proposals (RFP) for a very well located land site in the City of Cape Town. This was an important breakthrough for the Equal Spaces Project and NASHO. It was the first time we provided training as part of a city issued RFP, and attendance at our training event was mandatory. It was also a vital part of the City’s process for releasing land which we have been supporting. 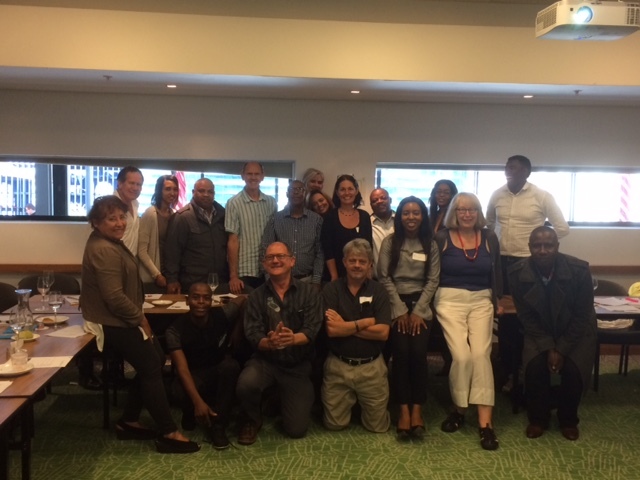 In late March, the Rooftops Canada and NASHO team led a workshop for new social housing groups responding to the City of Cape Town’s request for proposals to develop a site with 450 social housing units. The City of Cape Town has 13 SHI Partners who are conditionally accredited by South Africa’s Social Housing Regulatory Authority – the SHRA. These are groups who have never developed or managed social housing. They have a formal relationship with the City of Cape Town. (See Lizette Zuniga’s October 2017 blog below about the process for selecting these SHIs.) The City of Cape Town designed the RFP to only allow the new SHIs, Conditional Partners, to participate in the bidding process subject to participating in workshop. This was to encourage new social housing players in Cape Town, and to help them through the process. The Lansdowne site is a very well located piece of City owned land. It is close to shopping, train and bus lines in a formerly “whites only” area of the city. The land will allow for a minimum of 450 social housing units. The successful bidder will get the land much less than its market value to help make the social housing affordable. Of the 13 eligible new SHIs, nine participated in the training event. These included property developers interested in expanding into the social housing sector, and several small organizations with absolutely no development experience. The training covered a range of topics designed to provide background information on the scoring elements on the RFP to better enable all of the participants to respond in their bid. The City of Cape Town’s RFP is exciting as it reinforces a number of issues that the Equal Spaces Project has been promoting. These include: the role of woman in developing and managing new housing; including special needs in the housing mix; the importance of good design to both promote integration into the broader community and to foster secure and safe homes for low income tenants. Participants felt that the information provided was clear and well presented. They appreciated the presentation on the financial model – especially the RFP’s financial spreadsheet tool which was developed by Equal Spaces NASHO. We provided all of the handouts and presentations on a flash drive. Participants found the module on building design and possible pitfalls very helpful. The discussions on property management issues was identified as a highlight by many of the participants as all these SHIs are new to social housing and eager to understand the unique challenges inherent to social housing management. A little more than one year ago, I started working in South Africa with the Rooftops Canada and Equal Spaces Project. It is helping several South African Metros to reverse the legacy of apartheid spatial planning using inner city urban regeneration leveraged with social housing investment. Cape Town is moving very quickly with incentives and support to accelerate the scale and production of social housing and encourage partnerships between the private sector and social housing institutions (SHIs). We have been working very closely with the National Association of Social Housing Organizations, NASHO, and City officials to develop a “Smart Partnership” framework and templates for formal agreements with social housing partners. Cape Town has fully embraced this approach and recently held an open call for proposals for new social housing partners. Twenty SHIs were confirmed as City partners at a ceremony with the Executive Mayor Patricia de Lille on October 10. This includes 16 new SHIs, almost half from outside Western Cape Province. There is very strong interest in developing social housing in Cape Town while contributing to city-building with a strong urban vision. The City also recently launched the development of numerous affordable housing opportunities for lower-income residents on prime City-owned land with complementary investment in infrastructure aimed to transform Cape Town’s spatial reality. This will help build a dense urban fabric with transit-oriented growth and development creating more diverse and inclusive communities with access to improved services, job opportunities, affordable housing and public transport. A lot of our work has focused on the Salt River/Woodstock precinct which is very close to the city centre and undergoing rapid gentrification. In response, the City is offering 11 municipal sites for 4,000 inclusionary and affordable housing opportunities. This will introduce social housing to preserve housing affordability in the midst of rising property prices and displacement of low-income people. A public RFP for five sites has been issued to the City social housing partners and private sector developers to help develop integrated neighbourhoods in the precinct. It will close early in 2018, and includes an extensive public communication and participation process. The city is engaging with community residents and ratepayers’ associations as well as private sector developers, SHIs and civil society organisations. 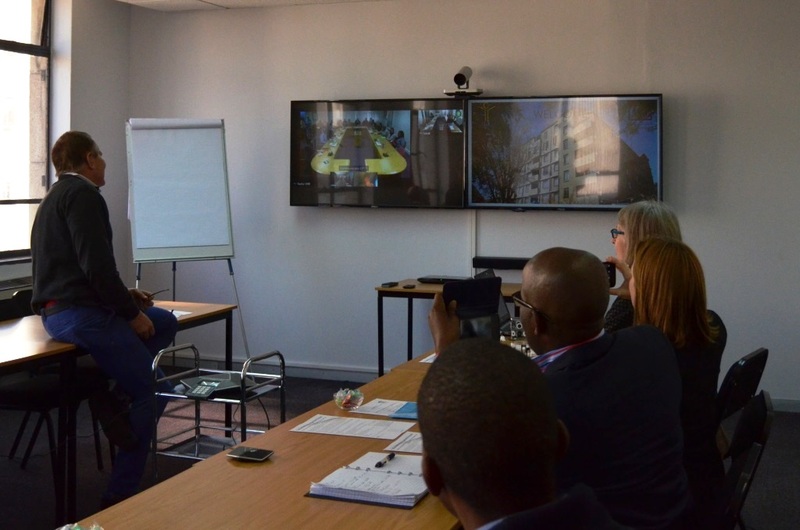 During the event to sign agreements with its SHI partners, the City of Cape Town also awarded Strategic Partner Certificates to Rooftops Canada and NASHO. We highly appreciate this recognition and look forward to helping get those social housing projects on the ground! The Equal Spaces Project is committed to helping develop a gender equality strategy for the social housing sector in South Africa. Based on this the project will support some initial interventions. There is very little information available in South Africa about the situation of women in social housing. Our first step was to hire a local consultant to complete a gender analysis and develop a strategy. After reviewing relevant legislation, sector background information and available data, she conducted key informant interviews with people involved social housing. We also carried out focus groups in three cities with women of different ages living in social housing and administered almost 100 tenant surveys. We then identified 10 Key Intervention Areas based on this research. These were reviewed during a National Workshop in late July with participants in Johannesburg and Durban using our new “learning hubs”. (See our July 24 blog). I was particularly struck by three of the issues presented to the workshop participants. First, members of the National Association of Social Housing Organizations (NASHO) are doing well in some areas compared to local and international corporate standards. Almost 1/3 of social housing CEOs are women, over 1/3 of board members are women including 27% with women as Board chairs. Overall 55% of all employees are women. The go forward issue will be how to support middle and junior management women staff to move into more senior positions in a rapidly growing sector which needs experienced staff. We need to be more methodical in how SHIs train junior and middle management staff – especially women so they take on broader leadership roles in the future. Second and more alarming is the existence of sexism and hostility to women working in leadership roles in social housing institutions (SHIs). At a minimum, this will require both strong HR policies which address consequences of sexism and build strong social networks of women employed in the sector. We can draw from Maytree, a Canadian NGO with a wealth of experience and practice in this area. Third, the rates of gender based violence (GBV) in South Africa are alarmingly high. When I first read through the research I had to take breaks every once in a while just to digest how terrible it is for women here. Even though SHIs provide safe and secure housing, women who live there are still vulnerable to GBV. The strategy speaks to developing GBV awareness and policies and practices. Both housing co-ops and non-profits have embraced this over the past 15 years in Canada and have resources we can use. The strategy also calls for partnerships with other community NGOs and tapping into government resources where they exist. Again, we will draw on Canadian experiences to develop partnerships which brought resources into the social housing sector, in many cases with spectacular results. The workshop gave us a better sense of the areas we need to prioritize. Participants also shared some of their best practices in promoting gender equality. Overall everyone was extremely enthusiastic about the work and grateful for Equal Spaces taking a leadership role in crafting a thoughtful response to a complicated issue. We now need to step back and use their feedback to refine our plan before we meet again with key stakeholders to finalize the overall strategy and the role Equal Spaces can play over the next two years. The workshop also provided greater clarity on areas in which the Social Housing Regulatory Authority can provide leadership – especially ongoing data collection. .
We will keep you posted on this important area of work as we refine our overall strategy and solidify Equal Spaces role.